The Rev. Ken Hockenberry was hoping he could attend this year’s General Assembly as a commissioner for the Presbytery of Chicago, but he wasn’t counting on it. And now, not only is he going to be in St. Louis for the 223rd biennial event, he’ll be standing for vice moderator. Ken is the running mate of Chantal Atnip, the treasurer and Strategic Ministry Support of the Synod of the Trinity who is part of one of three teams vying for the moderator position at June’s General Assembly of the Presbyterian Church (U.S.A.). “I never considered standing as moderator,” he said. “I’m new to Chicago Presbytery, and I was asked to submit my name to stand for commissioner, and to be honest I didn’t think I would get it. I figured I’m new to this presbytery, I probably won’t be elected. I was really quite surprised when the vote was announced. For Ken, who had met Chantal just once before, the phone call came completely out of nowhere. After a few days of discernment, Ken accepted Chantal’s invitation to be her vice moderator. He admitted that Chantal’s spirit and enthusiasm won him over. One of Chantal’s main points of emphasis during her run for moderator has been for the church to become reconnected. It’s a mindset that certainly resonates with Ken. 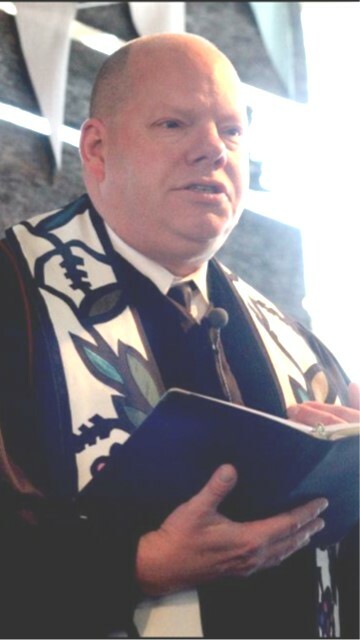 Ken, who is currently serving as the interim pastor at Carter-Westminster United Presbyterian Church in Skokie, IL, is no stranger to the General Assembly, having attended several times while serving as stated clerk for the Presbytery of Mid-Kentucky from 1996-2014. He also has moderatorial skills from his days in that position in the Presbytery of Cayuga-Syracuse. Ken is receiving full support from his congregation to pursue this role in the national church. 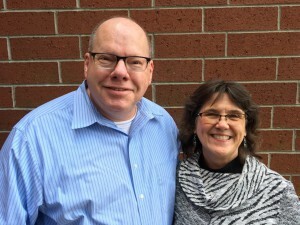 While most of Chantal’s time would be spent visiting Presbyterian churches around the country, Ken is also excited about the possibility of doing some of that work despite being a full-time pastor in a new setting. Looking ahead to General Assembly, Ken is curious to see how the structure of the denomination will be affected going forward. “I think it’s going to be a unique challenge for the Assembly this year to get their head around that,” he said. “Others have been looking at that for the last two years. Commissioners are coming into this fresh, so that’s going to be a major push at the Assembly level. It all adds up to an exciting time in the denomination and one that Ken hopes he’ll get to see threw new eyes should Chantal be elected moderator.